The Philadelphia Organizing Committee of Team Jamaica Bickle has announced that it will be honoring Philadelphia International Airport Chief Administrative Officer, Folasade Olanipekun-Lewis at its 23rd Annual Community Award and Fundraising Reception on Thursday, April 20th, 2017 in Philadelphia. The reception will be held at the PECO Energy Building which is located at 2301 Market Street starting at 6 p.m. and ending at 9 pm. Gerard Carr, a Trinidad-born Team Jamaica Bickle volunteer, will also be honored with the group’s Community Service Award. The daughter of a Nigerian father and a Jamaican mother, Olanipekun-Lewis has distinguished herself with a career in government and academia. Prior to her position at Philadelphia International Airport, she served as Chief Financial Officer for City Council President Darrell L. Clarke and also served as Deputy Commerce Director for the City Philadelphia. Her prior experience includes serving as Chief Financial Officer as well as City Treasurer for the City of Philadelphia and Director of Finance for the City of Birmingham, Alabama. 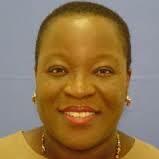 Olanipekun-Lewis teaches two graduate level courses at the University of Pennsylvania. She Olanipekun-Lewis completed secondary school in Nigeria, West Africa; obtained an undergraduate degree in Economics from the Graduate Center, City University of New York, CUNY BA Program; a Juris Doctor degree from Temple University Beasley School of Law; and a Masters Degree in Government Administration from the University of Pennsylvania, Fels School of Government. Olanipekun-Lewis lives in the Mt. Airy section of Philadelphia with her daughter, Adeyemi. Team Jamaica Bickle is a non-profit all-volunteer organization that caters to over 650 students, athletes and coaches from Jamaica and the Caribbean who attend the University of Pennsylvania’s annual Penn Relays in April of each year.